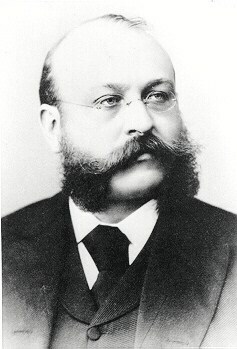 He was born in Stendal, Prussia, on April 20, 1850 and studied music in Leipzig. He was one of the leading music educators of his time. 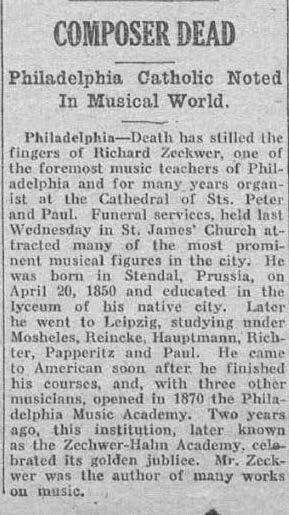 In 1870, along with three other musicians, opened the Philadelphia Music Academy, which later became the Zeckwer-Hahn Academy. In 1894, the 25th season, there were 1,129 pupils enrolled in the academy. 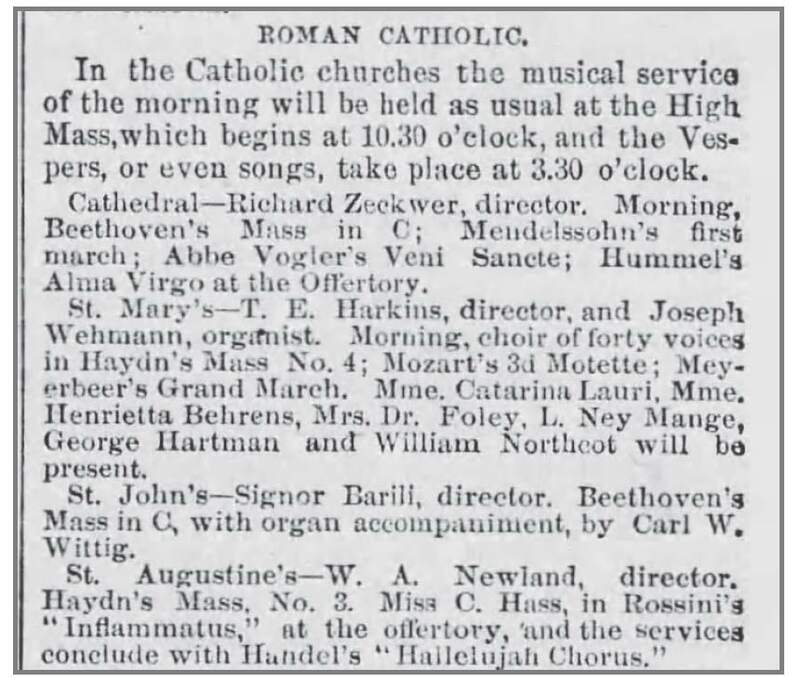 • Easter Sunday, April 20, 1878, he did Beethoven’s Mass in C, Mendelssohn’s First March, Abbe Vogler’s Veni Sancte and Hummel’s Alma Virgo; apparently not making many changes to the repertoire in his inaugural year as organist and choirmaster. He solicited three bids to repair the Cathedral Standbridge organ – Roosevelt, Hook & Hastings, and Knauf. The rector, Father Elcock, chose the local organ builder to repair the organ against the advice of Mr. Zeckwer. After a plea to Archbishop Wood to reverse the decision failed, Mr. Zeckwer resigned his position in July of 1880. 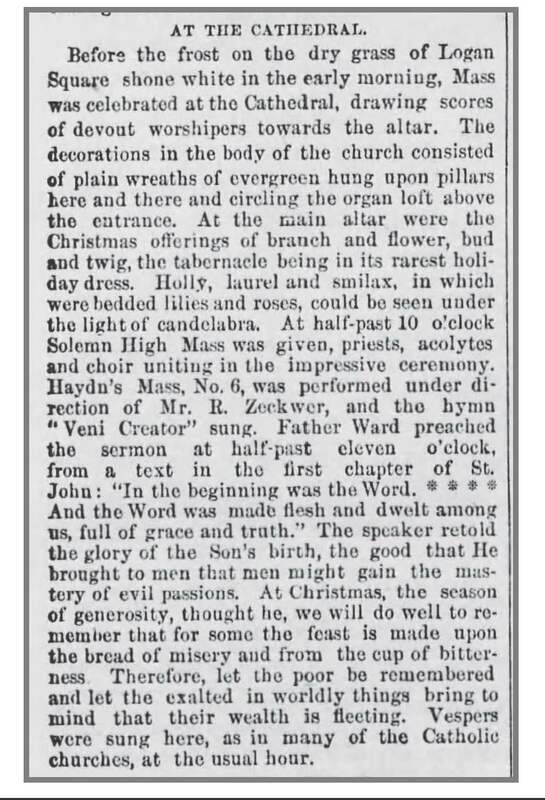 Mrs. McSorley became the interim organist for the remainder of 1880. He was an officer of the Music Educators National Conference. He died December 30, 1922.